The Netflix effect across the entertainment business has taken root in deep and meaningful ways this year. The turmoil caused by Netflix’s meteoric rise is all that media moguls could talk about last month during their annual conclave at the Allen & Co. conference in Sun Valley, Idaho.“Just look at the state of our business,” one prominent CEO observed, with equal parts fear and wonder in his voice. The direct-to-consumer streaming video business model refined by Netflix is the reason Disney and Comcast chased 21st Century Fox with such fervor. It was a big part of AT&T’s motivation for scooping up Time Warner. It marks the biggest shift in entertainment industry economics in decades, and it is an evolution largely driven by a company that has been in the original content business for barely six years. 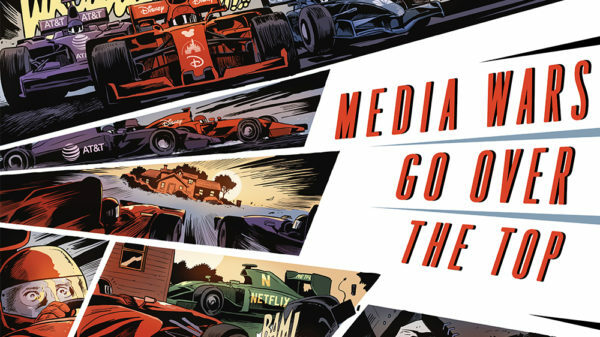 Trying to play catch-up to Netflix, the largest U.S. media conglomerates are bent on reinventing part of their operations as a direct-to-consumer business model. The industry’s biggest content producers aim to tap into the efficiency of streaming video via the internet to build proprietary pipelines into America’s living rooms, laptops, tablets and smartphones.